This guide assume you have complete the Adding software update point role and install WSUS. Let start to talk about filtering thousand of updates/patches from Microsoft. 1.Go to Computer Management, expand Software updates, Update Repository and Right Click Search folder. Select New Folder. 2. Give the folder name "Enterprise Search"
3.On the Enterprise Search folder, Right Click and Select New Search Folder. We are going to create all the filtering inside this Enterprise Search. 4.On the Search folder criteria step 1, select BulletinID,Expired and Superseded. And enter the name as "2009 software update"
Click Ok. Now you have completed the filter for 2009 patches. Let create more filter. This time let create the current month update. 6. In Enterprise Search Folder, Right click and Create New Search folder. 8. Now, you have created 3 filters. Let run a test. 9. Go to Software Updates > Update Repository > In the Action pane > Select Run Synchronization. The SCCM server will connect to Microsoft Update to get the catalog update. The system will prompt for confirmation to initiate site wide software update synchronization. Click Yes. You can refer to System Status > SMS_WSUS_SYNC_MANAGER to check the synchronization status. 10. Leave the system for few hours . The synchronization will took few hours if this is your first time synchronization. Objective: Filter all critical update for Windows Server 2008. Stay Tune for next guide. Let start the sccm client installation. Then, the system will start to initiate Client Push Installation to deploy the sccm client. Wait for few minutes for the sccm client installation. This is the Components tab which listed all the component install in the client computer. This is the Advanced Tab which indicated LAB- site code and cache size set to 8000. If any problem arise, you can always go to C:\Windows\System32\ccmsetup and check the log files. -CCMSetup.log -Records setup tasks performed by CCMSetup. -Client.msi.LOG -Records setup tasks performed by client.msi. Step 4: Verifying from collections. Now you've successfully installed sccm client into the workstation. 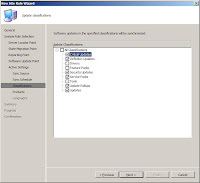 Configuration Manager clients can be installed and automatically assigned to sites when the computer resource is within the boundaries defined for a configuration manager site. Any installation of client outside the boundary, you need to manually defined for Site code of the required site. Client that are not successfully assigned to a site remain unmanaged. This means that these client cannot receive policy and will be unable to install software distribution, software update, etc. Please refer to Part 103: SCCM 2007 Post-configuration on how to reconfigure the site boundary. Pre-requisite for client deployment is depend on your site mode. Besides that, all computer requite to have Microsoft Background Intelligent Transfer Service (BITS) version 2.5 or higher. After define the pre-requisite, let look at the following client installation methods which are available. In the Configuration Manager console, navigate to the Client Installation Methods node under Site Hierarchy. -Right Click Client Push Installation and select Properties. -Tick enable Client Push Installation to assigned resources and select system types to Servers, Workstation and Domain controller. -Tick Enable Client Push Installation to site system. To successfully install the Configuration Manager 2007 client, the Windows user account used must have administrative rights on the destination computer. If the install fails with all accounts in the list then the installation will be attempted using the computer account from the Configuration Manager 2007 site server. Next click on the Advanced client tab and set your Installation Properties string to something like this. This installation method leverage WSUS software update infrastructure to install client software. To use software update point based installation, you must use the same WSUS server for both client installation and software updates. This server must be the active software update point in a primary site. you must configure and assign an Active Directory Group Policy object to specify the software update point server name from which the computer will obtain software updates. It is not possible to add command line properties to a software update point based client installation. If you have extended the Active Directory schema for Configuration Manager 2007, client computers will automatically query Active Directory Domain Services for installation properties when they install. If the Configuration Manager site system is configured to use a fully qualified domain name (FQDN), specify the server name using FQDN format. If the Configuration Manager site system is not configured to use a fully qualified domain name (FQDN), specify the server name using a short name format. If the site is in mixed mode and software updates is using the default Web site, the port number is likely to be 80 unless it has been changed. If the site is in mixed mode and software updates is using a custom Web site, the port number is likely to be 8530 unless it has been changed. 1.In the Configuration Manager console, navigate to System Center Configuration Manager / Site Database / Site Management / – / Site Settings / Client Installation Methods. 2.Right-click Software Update Point Client Installation, and click Properties. 3.To enable client installation, select the Enable Software Update Point Client Installation check box. 4.If the client software on the Configuration Manager 2007 site server is a later version than the client version stored on the software update point, the Upgrade Client Package Version dialog box will open. Click Yes to publish the most recent version of the client software to the software update point. If the client software has not been previously published to the software update point, this field will be blank. 5.To finish configuring the software update point client installation, click OK.
You can publish or assign Ccmsetup.msi using Group Policy. This file can be found in the folder SMS\bin\i386 on the Configuration Manager 2007 site server. It is not possible to add properties to this file to modify installation behavior. If the Active Directory Schema is extended for Configuration Manager 2007 and Publish this site in Active Directory Domain Services is selected in the Advanced tab of the Site Properties dialog box then client computers will automatically search Active Directory for installation properties. To manual installation, you need to run CCMSetup.exe ( located in network shared Site Server Name\SMS_Site Code\Client ) with administrative right in the target computer. This manual installation is use if you're installing client that are in workgroup, on the Internet or belong to different Active Directory forest. Specifies to download installation files from the management point named SCCM01. Instructs client.msi to assign the client to the site code LAB. Instructs client.msi to use the fallback status point named SCCM01. If you have extended the Active Directory schema for Configuration Manager 2007, many client installation properties are published in Active directory and read automatically by the Configuration Manager 2007 client. On the master image computer, you must pre-install the SCCM client. Follow the process below. 1.You must not specify a site code to assign the client to. When computers are imaged from this master image, they will contain the Configuration Manager 2007 client, but this will not be assigned to any site code. 2.Type net stop ccmexec from a command prompt to ensure that the SMS Agent Host service (Ccmexec.exe) is not running on the master image computer. 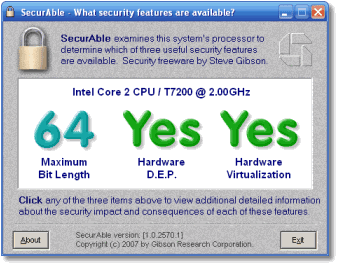 3.Remove any certificates stored in the local computer store on the master image computer. Additionally, remove any native-mode client certificates if applicable. For more information, refer to your public key infrastructure (PKI) documentation. 4.If the clients will be installed in different Configuration Manager 2007 hierarchies than the master image computer, remove the Trusted Root Key from the master image computer. 5.Use your imaging software to capture the image of the master computer. 6.Deploy the image to destination computers. That's concluded SCCM Client installation Method. Stay tune for Part 109: Firewall Setting for SCCM client.